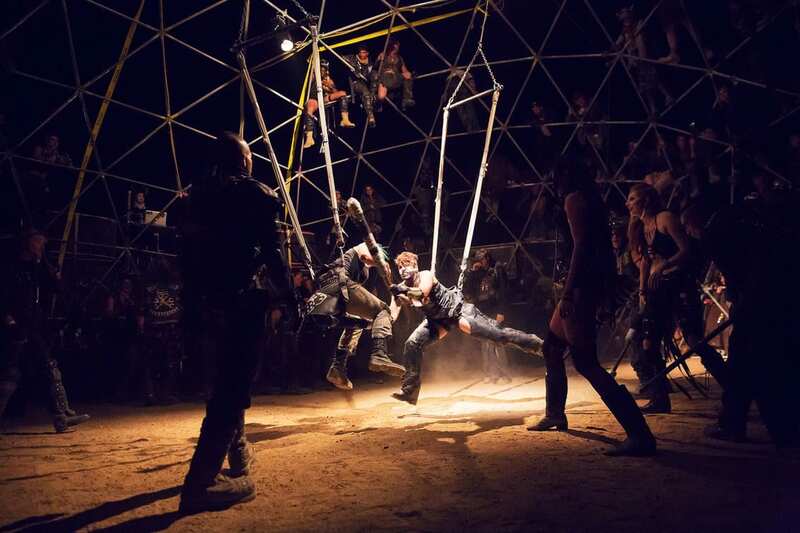 The 1985 sequel Mad Max Beyond Thunderdome – Tina Turner soundtrack hit and all – introduced hordes of fans to the Thunderdome, a barbaric caged arena within which combatants would joust with one another. Oddly enough, the spectacle also found its way to Burning Man two decades ago. It’s only natural that it would also be found at Wasteland Weekend. As brutal and primitive as it appears, it’s all in the spirit of good fun. The participants who step into the ring for a ‘brawl’ are safe and secure at all times. It’s a good way to get out aggression without causing harm. They attack each other with PVC pipes wrapped in foam. And no, there are no prizes, just appreciation for the most ferocious competitor.